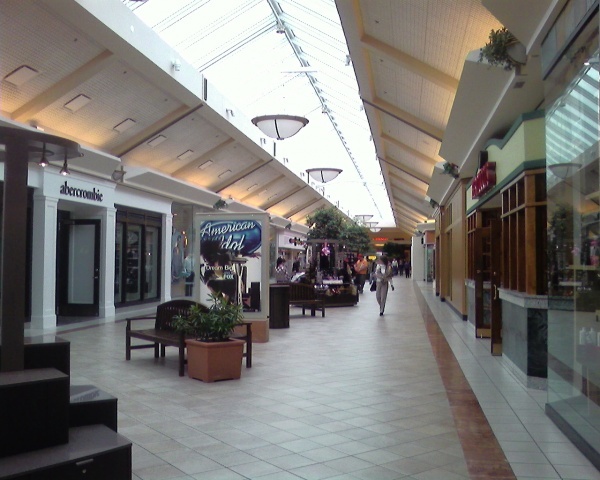 The Mall of New Hampshire is a 930,000 square foot enclosed shopping mall in Manchester, New Hampshire, the state’s largest city (pop. 108,580) and the largest single municipality in Northern New England. 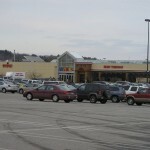 The center is also the third largest in the state, and is one of several serving the state’s populous “Golden Triangle,” a mostly suburban and urban area in the southern part of New Hampshire that grew significantly in population over the last several decades as people from Eastern Massachusetts sought affordable housing in an area that was commutable to Boston-area jobs. Manchester itself serves as the media and transportation hub for most of the state, although it is–like many New England cities–an aging industrial revolution era mill town, packed with triple deckers and brick 19th century factories. Like many New Hampshire cities, it also boasts a significant retail trade due to the state’s lack of a sales tax, so many people from Massachusetts and Maine cross the border to shop in the state’s malls. 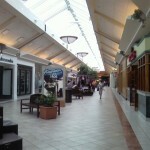 The Mall of New Hampshire also benefits from its surrounding environment; it’s the lynchpin of the busy South Willow Street shopping corridor, which is one of the largest commercial strips in the region. 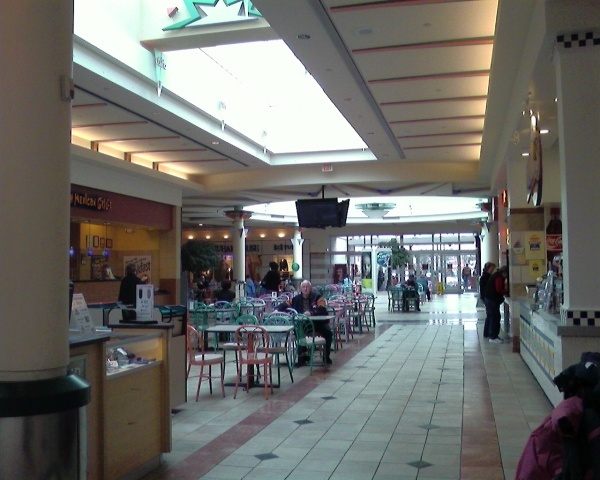 Since Mall of New Hampshire is further from the border than some of its competition, it’s somewhat smaller despite serving a larger city. The Mall of New Hampshire first opened in 1977 as a smaller mall in a “T” configuration, and sported Sears, Filene’s, and Lechmere (I think?) as anchor stores, plus room for around 70 stores in-line. 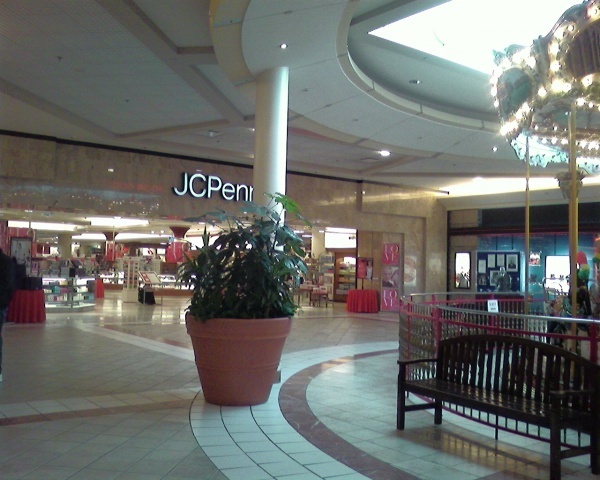 The mall wasn’t changed significantly until 1996, when the center underwent a significant renovation and expansion. The Sears store was expanded, and the existing (smaller) Filene’s was reconfigured to make room for a large expansion that turned the “T” shape mall into a loop. Filene’s constructed a larger, newer store in the new wing, and some of their old space was expanded and converted to a new JCPenney store. Lechmere closed their store at the mall in 1997 when the entire Montgomery Ward-owned chain shuttered; it was replaced in 1999 by a Best Buy and a Kitchen Etc., a locally-based kitchen supply store which itself went out of business several years later and was replaced by AC Moore. 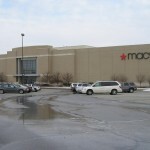 The Filene’s store became a Macy’s in the 2006 May/Federated merger; prior to this Macy’s had no presence at the mall, though they do have a large freestanding store several miles away adjacent to the Bedford Mall, the only other enclosed shopping mall in the area (though not for long…). 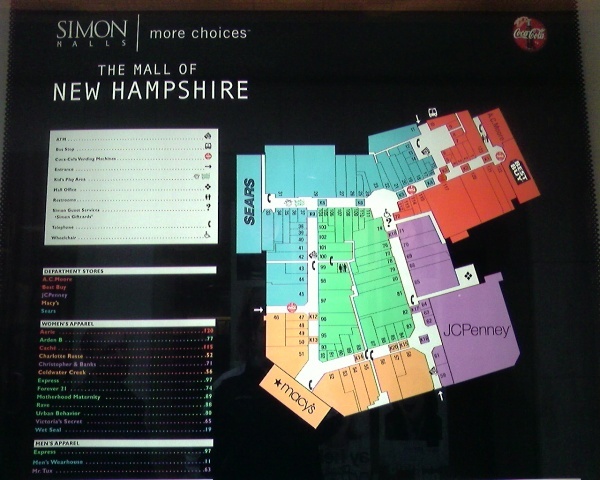 On the whole, the Mall of New Hampshire is a fairly standard middle-tier mall; lots of standard suburban fare but not too many higher-end or destinational stores. It’s a pretty successful place and well-located in an area without any major competition, but also doesn’t seem to have many interesting historical facts either. 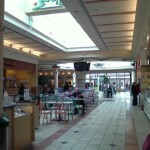 Have some stories about the Mall of NH? Offer them up in the comments. Way to go on quick updates! Never seen a mall in a loop shape that wasn’t a Mills mall. 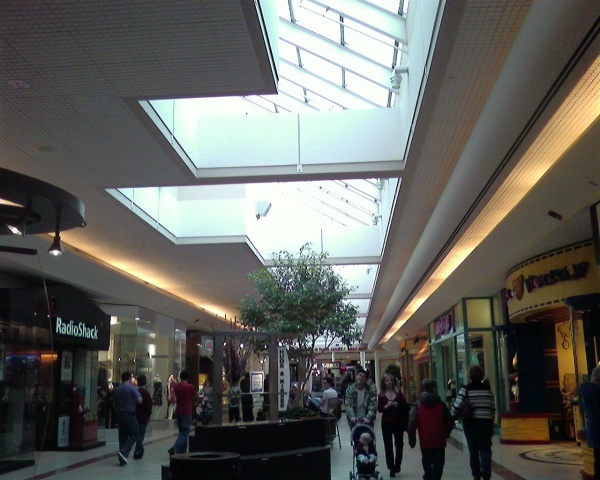 This mall was developed by Steve Karp’s New England Development until Simon bought most of his portfolio. 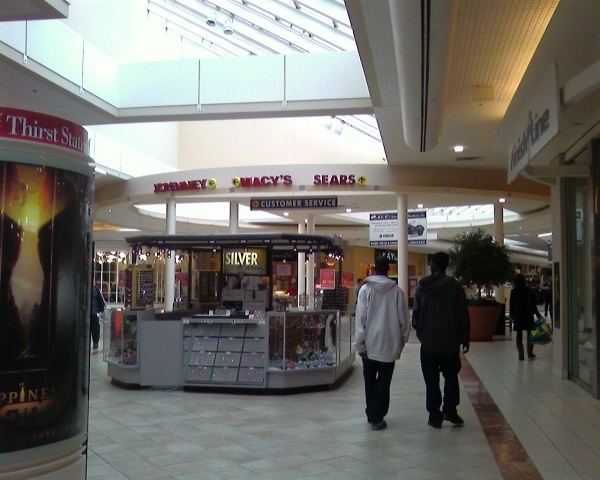 Best Buy replaced the Lechmere anchor in 1998, like at several other New England malls. When I think of “Mall of [state]”, I think of a successful, superregional center with around five anchors and certainly another anchor. Mall of Georgia and Mall of Louisiana come to mind. But of course, New Hampshire is a small state. What did I expect? 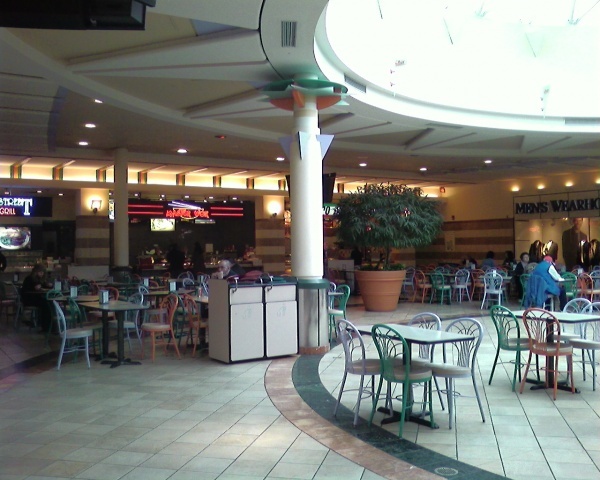 The food court is lame. They even lost McDonald’s. @Jen, Every single mall based McDonald’s I know of has closed. 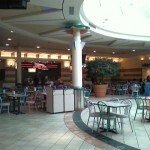 The Galleria in White Plains & Queens Center both in NY have the golden arches in the food court. In fact there’s another one next to the subway entrance at Queens Boulevard & 92nd Street, just a half block from the entrance from QCM. 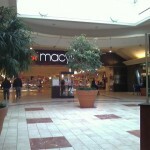 So does Freehold Raceway Mall and Paramus Park. Also Danbury Fair, although it was remoddled to only have the counter & no inside seating. 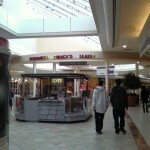 @Jonah Norason (Pseudo3D), Also, the Meadow Glen Mall in Medford, MA still has a McDonalds. Though it may not be a hulking facility with five anchors, it does have a roster of quality national retailers, such as the Limited, Gap and Abercrombie brands. Paired with an assortment of big box merchants, this probably provides the region with a solid assortment of retail offerings. Also, being owned by a REIT with good industry connections, it will probably attract relatively higher quality stores, when the economy improves. Er, when I said “another anchor”, I meant “another floor”. Sorry about that. 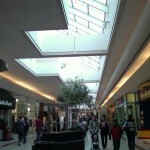 This mall looks unpleasantly claustrophobic and bland from the pictures…. is it like that in person? @Alpha, yeah it is. its very boring and small. i wouldnt recommand going there. @Mike, I can think of 4 off the top of my head. 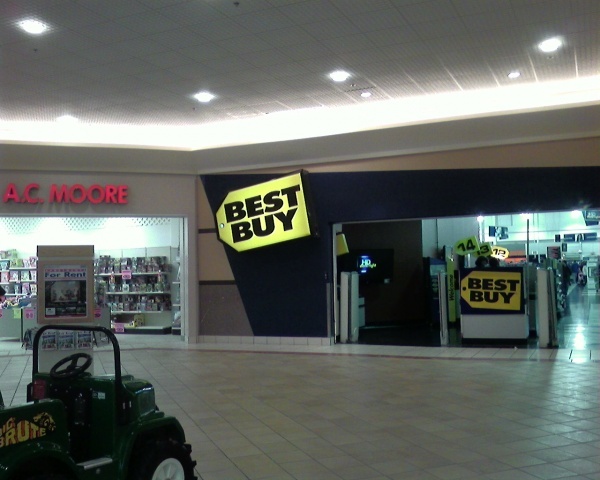 Palisades Center, Poughkeepsie Galleria, Hudson Valley Mall & MOA have Best Buy stores that open in to the mall. I’m sure there are others. 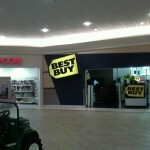 Liberty Tree Mall, Danvers, MA has a mall-entrance Best Buy. @Ashley, The thing with Best Buy & some other big box retailers is they have become defacto anchors replacing department stores in many cases. @SEAN, There are new builds with in-mall locations and entrances like the “DCUSA” complex in the Columbia heights section of DC. @SEAN, Southland Center in the Detroit suburb of Taylor, MI also has a Best Buy that opens out into the mall (though with sliding doors) that relocated here from a nearby strip mall (since torn down for another Walmart) and replaced the food court (RIP, though a few restaurants that were there still operate today elsewhere in the mall). @Mike, I stumbled across this website this morning and I guess I don’t see why everyone is being so pessimistic. Yes, the mall has vacancies but has had at least 5 stores do complete re-models in the last year, which means they will be here to stay for a while.Ulta is an upcoming huge cosmetic store that is completely gutting that entire area for their giant store. 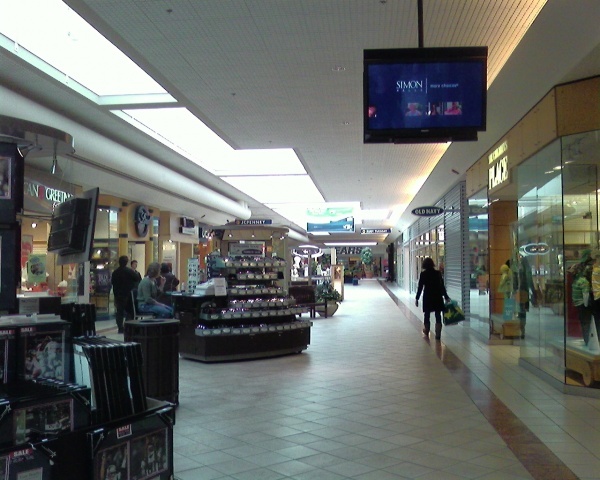 Anchors are at each end of this mall with a lot of popular stores mixed in-between. Although there are some temporary stores, lets be happy that the mall was even able to rent those spaces out rather then have to increase rent on the other tenets, probably forcing some of them right out the door. 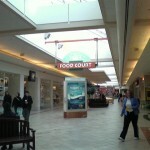 No, the food court isn’t fantastic, but I also don’t get my hopes up over a food court in general. Was buger wow that big of a loss? Instead of looking at the vacancies we really should be looking at the number of occupants that are doing very well in difficult economical times. They will always be “customers and employees on edge” because its people dealing with the public and more often then not the public bites back. This is never a surprise. 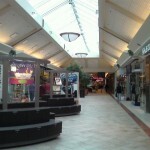 The Liberty Tree Mall in Danvers, MA, the Square One Mall in Saugus, MA (I’d like to see articles on those) both have Best Buy stores that open into the Malls. Based on the aerial photo (http://maps.google.com/maps?f=q&source=s_q&hl=en&geocode=&q=Mall+of+New+Hampshire&sll=42.956481,-71.4317&sspn=0.002191,0.004678&ie=UTF8&radius=0.12&rq=1&ll=42.955484,-71.431502&spn=0.002191,0.004678&t=h&z=18) it looks like the old Filene’s was totally razed. 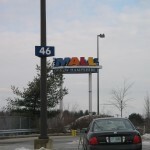 I think this mall lost business at one point from the Pheasant Lane Mall in Nashua – which was just over the border of New Hampshire – NH is a sales tax free state and when I lived in Mass in the 1980’s I would buy anything I could that was expensive up there. The Mall of New Hampshire is a WONDERFUL place to fall asleep. There are many empty spaces, and the very few retailers that have been added is certainly not worth a special trip. The entire South Willow Street shopping area in Manchester was so poorly planned from the start; every single retail strip mall in Manchester seemed to move out there, with car dealers, gas stations, strip malls, and industrial parks all jammed together amongst a maze of traffic lights. But with all the lights you have to sit through, and all the time it takes to get from Elm Street Downtown (another sleepy place) to the mall, there’s nothing on South Willow Street that’s worth the wait. It’s tired, old, and UGLY. Now, Wal Mart wants to build a Supercenter not far from the mall, on Gold Street, a street that opens up into a residential area, that already has way too much traffic passing by private homes. The thought of putting even more traffic there is a disgrace. But from what I’ve seen and experienced there, I don’t see much in the way of city planning in Manchester. 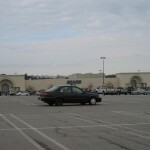 I think that when this mall was first built, it attracted more shoppers from Massachusetts, who helped support it, but with the much nicer Rockingham Park Mall closer to the border, much of the population base has shifted, and Manchester’s metro area is too small to bring in the higher-end stores that are moving (albeit slowly) into Rockingham Park and the Maine Mall in South Portland. I visit the mall fairly often to walk, and I have close friends in Manchester who NEVER go, but the walking part is good, because fewer and fewer people are there. The mall, and the whole South Willow Street nightmare, needs to be razed and built again; this time with people who understand urban landscaping and planning. 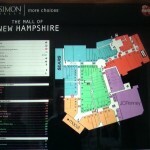 For me, Mall of New Hampshire is not worth a visit. Yes, this mall is fairly claustrophobic in person. It’s also fairly dead, even before the economic meltdown. For me, the big plus is the preschooler playplace in the food court. When it’s -10 outside and my girls are driving me insane, I know I can force them to walk the mall to look at things I wish I could afford (it’s not an expensive place, but…), and they’ll behave, because if they don’t they don’t get to play. Of course, many of the malls in the area are building or already have these play spots, so if I need something at a store MoNH doesn’t have (a common occurrence), I have other options. I do have a question, though. I’ve worked in mall retail before, so I sort of know how things work. Even the small store I worked for sometimes had “shipment” of 30-50 boxes of merchandise in a day. 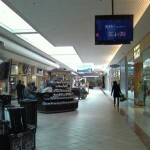 I know the inner “ring” of this mall is all smaller stores, but I cannot figure out how these stores get their boxes! Yes, UPS and FedEx are often carting stuff around inside, but never more than a “normal mall amount”, and I’ve driven the perimeter many times without seeing any sort of truck tunnel (maybe out back between JCP and BBY?). One of the malls I worked at had some wierd underground backrooms (Northshore in Peabody, MA), and there was a gigantic and obvious truck tunnel- our store’s shipment’s came through there. Any insight on this? Anyone? Come on! Some bigger stores are on the inner ring here, including Limited and abercrombie. They must get more than a couple boxes at once! 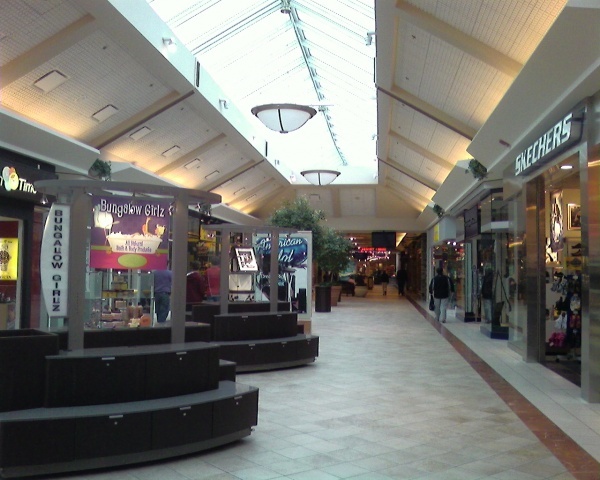 Living in a small town north of Concord, when the Mall of NH opened in 1977, it was like NH finally joined the 20th century shopping trends we only read about. The mall had a HUGE record store (Musicsmith?) that I loved to waste time in, but only cautiously made purchases there. Their prices were UNGODLY at the time, essentially at list price! They did have great cut-outs (budget) stuff however. Sears had a Ticketron outlet at their customer service – I can remember buying tickets for shows there. The last time I went there, it was an INCREDIBLE hassle just to get into the parking lot – all the traffic lights are just a PITA. 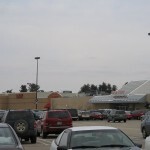 They ABSOLUTELY need to prevent Wal-mart opening a store and further contributing to the traffic problems in the area. 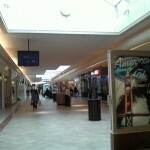 Just got back from the Mall of New Hampshire and it is definitely holiday season with all the temporary stores. I talked to the worker at “sports stop” for a few minutes and he was telling me about how their lease works. They currently are in the 7,000squre foot space once occupied by Finish Line. He said they used to be in the 2,000 square foot space that was once Gadzooks but the mall asked them to move into the bigger store. He said the wall works out a deal with them on the rent. No way sports stop needs that big of a store but I guess MGMT wanted them to occupy it. There were only two vacancies in the mall-the citizens bank closed their branch behind verizon and DQ/Orange Julius is gone from the foodcourt. Hard to tell what many of the temporary stores used to be. The Christmas store used to be discovery channel store and a sanrio used to be a jewelry store. 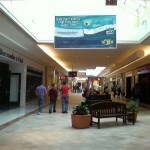 My guess is come Jan/Feb this mall will return to having 8 or 9 vacancies with the Plaster store,”Itz a puzzle”,ect. closing up.The Plaster place looked to be in an old clothing store(G&G or Rave maybe) and Itz a puzzle was in a store that was obviously a clothing store but i have no idea what store it was–located next to the old prints plus..
Glad to see Best Buy Mobile and Zummiez open in the mall but they are going to need a few more stores to open up that won’t only stay for a few months. 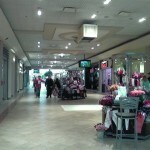 Not sure if this helps anyone who is a fan of the mall just thought since i have viewed this site for awhile I would finally post something on it. Just got back from another trip to the mall. It was packed with people(with the anticipated snowstorm coming people are going crazy),the only real change i can comment on is The Walking Company had “this store is closing” signs in the windows but not really the big “12 days left!everything must go!” signs like most stores usually go when they are going out. Also,in my above post i noted that last time i was there DQ/Orange Julius was empty..well it now looks like they are just renovating as a construction wall is up and saying DQ/Orange Julius was coming soon. 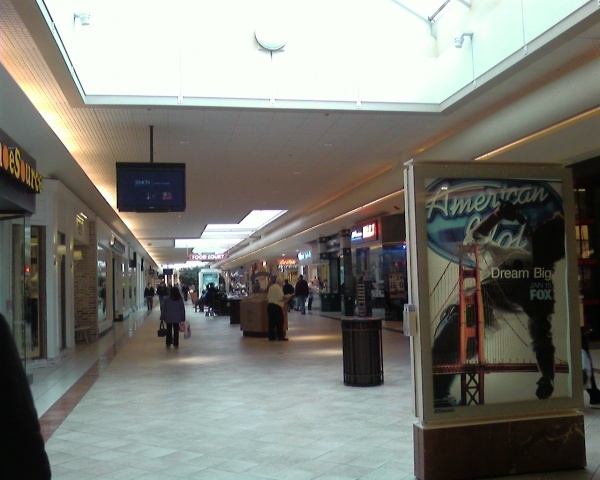 I never go to this mall because I live north of concord and any midrange item I want, I can get in concord and anything else I might want would be best purchased in Salem. 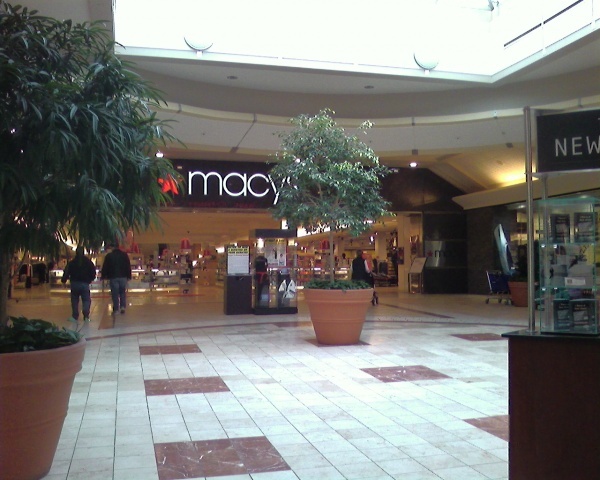 One of my favorite moments in this mall was when there was a $1200 chair placed near the entry to Macy*s. Everyone walked by it looked at the price and dropped an F-bomb. Viva Manchvegas! 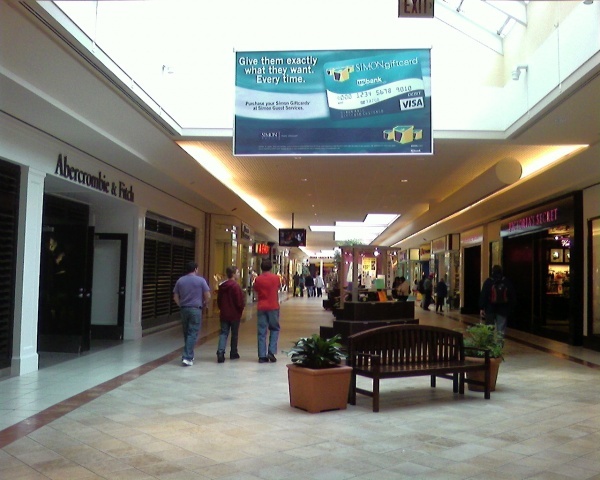 When I worked in the Mall of NH – a long time ago, when it was still shaped vaguely T-ish and Lechmere, Filenes and Sears were the anchors – it was for a small shop that was part of a regional chain. We had no back door to the big wide world. Most of our deliveries came from the wholesale side of our chain, and we had UPS pick-up stuff we were sending to customers and now and again they brought us a couple of parcels. 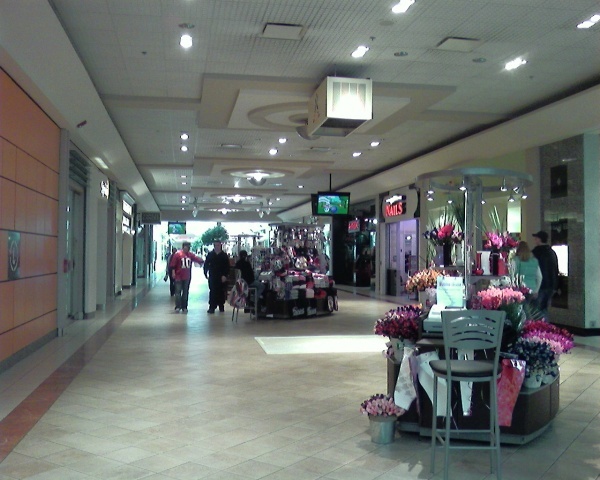 Deliveries happened during mall hours, but very early before most people can be bothered to be walking around a mall. Our trash went out via the mall too. 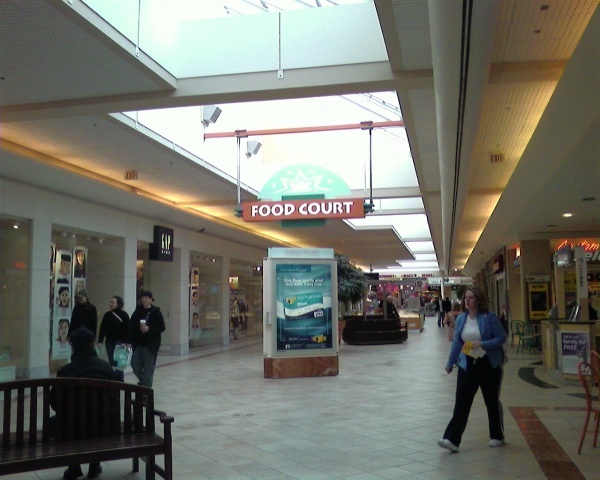 I also worked in the food court before that and at least that side of the food court had a shared hallway that lead by all the other back doors and to the dumpsters. The hallway was dark, creepy and thanks to one of the restaurants (now long gone), very, very disgusting. Man I hated dumpster duty! Oh yeah, and I worked for another store, briefly, and they had their own back door. It lead in oxygen which was marvelous. 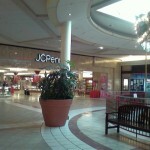 All that working at the mall….no wonder I moved far away and no longer work retail! Haven’t been to the Mall of NH recently,but just made the trip to Rockingham in Salem and Dairy Queen/OJ is taking over where Bringhams used to be..Rumor has it that the same owner of the mall of NH one is opening at Rockingham. I don’t know if it is true or not, but with the relatively close proximity to eachother it is a bit believable. Can anyone confirm or deny the rumor? Went here once to see the elevators and escalators. Only Macy’s and JCPenney have them. Both of their elevators = SCHINDLER MT. Both of their escalators = SCHINDLER. I was not happy to see that they did not have any other brand but Schindler. The food court at this mall struggles leading some to say the mall is “in trouble” but the mall itsself is doing well..
mall that would be great!!! E-mail me and let me know. ULTRA is coming soon to the mall in the location that was once Finish Line as well as the former Gadzooks location..It is going to be huge! Burgerwow! has closed in the food court. Unlike when McDonalds closed,there is no wall blocking the stall and it just sits dark and empty. Several temporary stores have taken up shop in the mall including the “sense of wonder” store in an old Jewelry store across from Lids,Small Dog Electronics in the former Discovery Channel store,Precious Plaster in the old citizens bank branch(oddly enough),Christmas to remember in an old closing store (casual corner,perhaps?) as well as two cheap jewelry/handbags/etc. stores in the old clairs store next to CVS and in what looks like it may have been another old clairs store. Also,a long while ago i reported that “the walking company” has “this store closing”signs in the windows-well they are still open,so perhaps their plans changed. Both customers and store employees were on edge today. A lady was having quite the argument with the owner of “sports stop” about his return policy (store credit only), and an employee from Olympia Sports called security after two teens were dribbling a basketball in the store. Overall the mall had quite a crowd around Noon time after a quiet morning…The only truly vacant store at the mall is “burgerwow!” but in the coming weeks when the temp stores shut down there will probably be 5-7 vacancies. This mall has really gone down in the last couple of years. So many low end stores here, along with cheap temp stores, and so so many midrange stores closed. It’s going to get worse here, I expect, with the Merrimack Outlets opening. Personally, I don’t think this mall is doing very well at all. Nothing here interesting for me. @AA6682, I totally agree. The entire South Willow Street shopping area is tired, warn out; uncared for. Nothing exciting here.